Team Ideas – The Bridge to S.H.I.E.L.D. Among the other competitive pieces to come out in the Deadpool set (detailed here and here), we got a new figure that falls into a category of pieces that I refer to as “recruiters,” DP041 G.W. Bridge. Like TDW015 Duhg and SLOSH201 Cosmic Boy, DP041 G.W. Bridge has the ability to give any character a keyword that they didn’t have before. 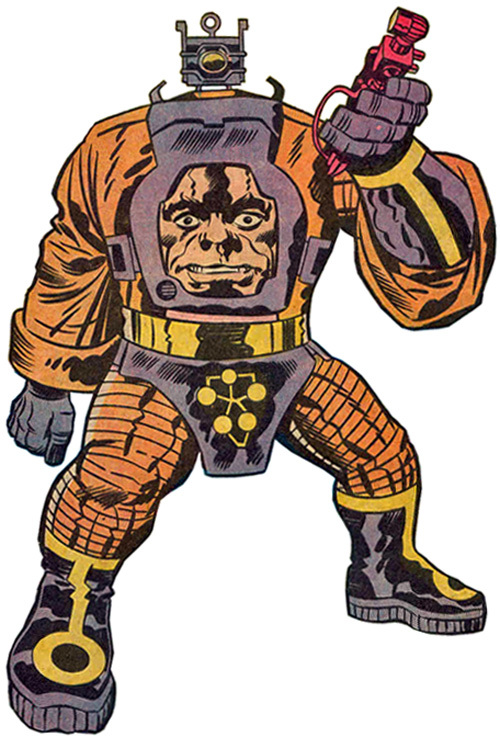 In a correctly built team, he can give any character the Six Pack, Weapon X, or Solider keywords. Just one problem… those are boring. Reasonable but boring. And they aren’t worth all the hoops you have to jump through to get them. That leaves the S.H.I.E.L.D keyword. That’s more fun. 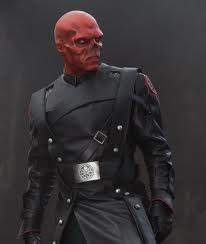 Little known fact: Red Skull’s appearance is actually the result of the world’s worst nose job. Now I know what you’re thinking, that’s fun but not all that competitive. Is there any way giving someone S.H.I.E.L.D. keyword actually helps you in battle other than giving you a theme team bonus? Just one. It’s this guy: CATWS005 S.H.I.E.L.D. Agent. I’ve tried this guy out in battle and he’s the real deal. Just about any attack aimed at the pieces you care about get redirected to this guy and you lose a 36 point character instead of your 100+ character. Alpha Strike? Just stand there and take it. If they swoop in for a hit on your team that just means they’ll be in a great position for you to hit them next turn. To bump it up a notch the special mastermind power on CATWS005 S.H.I.E.L.D. Agent also works with CATWS106 S.H.I.E.L.D. Agent because they share the same name. That means you would only lose 25 points of your force to an attack instead of 36. Even better. The ring is the mightiest weapon in the universe… and it gets HBO. 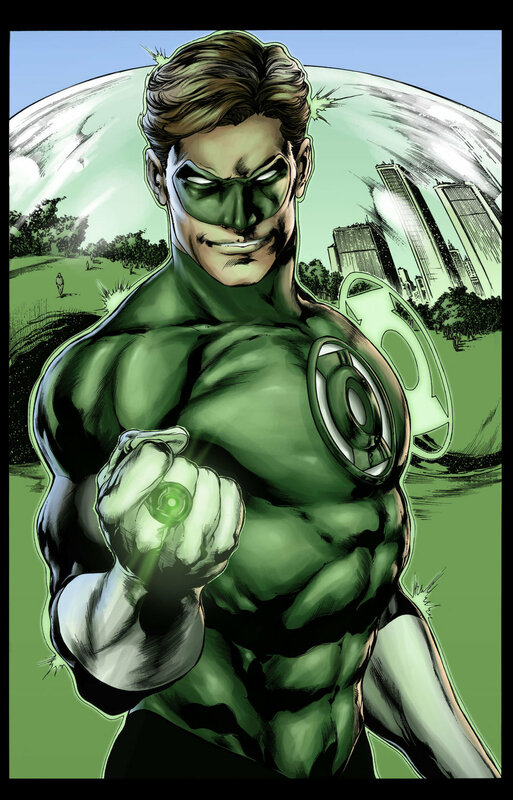 Hal Jordan, Agent of S.H.I.E.L.D. TT033E Green Lantern is exactly what S.H.I.E.L.D. needs. He can carry your whole team. That means moving all 6 guys in 1 action. He’s a virtual helicarrier. The offense on this guy is great. He’s got 8 range, perplex, and he can choose to gain Close Combat Expert, or Ranged Combat Expert as the situation warrants. Since the rest of his team all has the S.H.I.E.L.D. TA, that will allow him to turn his range up to 11. DP041 G.W. Bridge is very similar to TT033E Green Lantern offensively as he also can gain Close Combat Expert, or Ranged Combat Expert as needed, but instead of perplex he has outwit. Additionally, they both strikingly similar defensively – which means they both have a lousy defense. That’s their weak point. At least it was until they got to this team. With two CATWS005 S.H.I.E.L.D. Agent, and two CATWS106 S.H.I.E.L.D. Agent, it’s likely the first four times your team takes a hit neither Green Lantern or G.W. Bridge will take any damage at all. They will just be able to sit there and take pot shots with their RCE and willpower while any living S.H.I.E.L.D. Agents enhance their damage with the S.H.I.E.L.D. TA. The other team isn’t going to out range you with all the S.H.I.E.L.D. TA floating around and even if they base you, your damage dealers can get Close Combat Expert and your two CATWS005 S.H.I.E.L.D. Agents have empower! That’s a no win situation for the opponent. The only things you need to fear are Precision Strike, Pulse Wave, and Energy Explosion. You have an outwit to help nullify those powers. Just like with my Iron Pharaoh team, I feel my Green Lantern S.H.I.E.L.D. team is very capable of competing at an event like the ROC and I haven’t seen anything like it published anywhere. It’s original to me right here and now. It’s designed to win in a no resource allowed tournament and will need to be changed for a tournament where resources are allowed. If you get a chance to play this team at a real tournament, leave a comment here and let me know how you did.